At Southgate Dental Care we believe that orthodontic treatment , whether with fixed braces or "invisible " type aligners is best done by dental specialists. 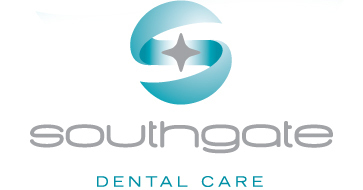 We are very fortunate to have highly qualified orthodontists at Southgate Dental Care. 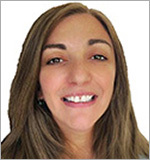 Dr Christina Evaghoras was educated locally before studying dentistry at Guy's Hospital. Christina qualified as a dentist in 1997. In the year that followed she worked at Guy's gaining further experience in maxillofacial surgery, children's dentistry and oral Medicine. A year in general practice was then followed by further experience in surgery and orthodontics. Christina's passion for orthodontics earned her a place on the specialist training course at Guy's Hospital. She completed her Masters in Orthodontics from the University of London in 2003, and in 2004 gained the Membership in Orthodontics from the Royal College of Surgeons of England. Since then Christina has worked in specialist practice, providing orthodontic care to both children and adults. A number of years working with children with special needs and anxiety in a dedicated clinic have further enhanced her skills. Christina aims to provide the best results for her patients, whether their problems are simple or complex. Adults and children alike are treated with up to date, evidence based orthodontics, including "invisible" or ceramic braces when appropriate. 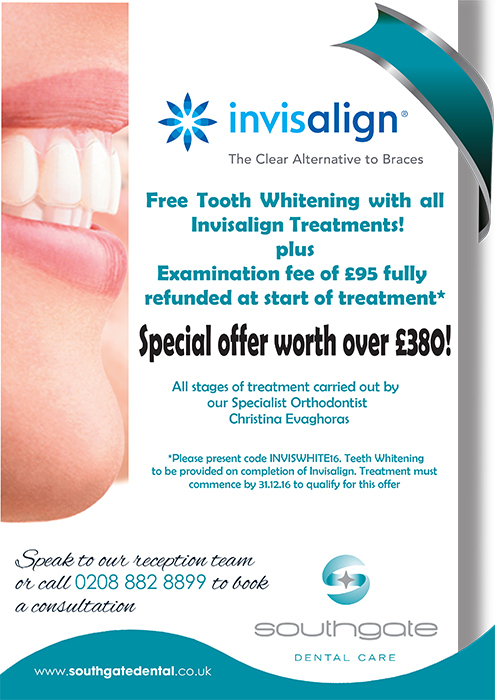 Thank you for visiting our orthodontic web site. With a focus on orthodontics for children and adults for we specialize in providing outstanding state-of-the-art orthodontic care in an environment that is comfortable and friendly for all members of the family. Our expert orthodontists and caring staff work hand in hand with patients to understand their goals and provide individualized care plans to achieve results. This includes early preventive care for young children and the latest in leading edge orthodontic technology. We offer multiple orthodontic treatment options for both children and adults. Options include , traditional metal braces, clear braces, Invisalign® and much more. Getting braces is an important commitment to make, and we are here to help every step of the way during your orthodontic treatment experience. Orthodontics is the dental specialty that focuses on the development, prevention, and correction of irregularities of the teeth, bite, and jaws. Orthodontists also have specialized training in facial abnormalities and disorders of the jaw. A parent may consult an orthodontist after receiving a referral from their child's general dentist. However, it is recommended that every child receive an orthodontic evaluation by the age of 7. Is Orthodontics suitable for Adults? In most cases, the ideal age for braces, and other orthodontic treatments, is between 10 and 14 years of age. However moving and correcting the alignment of the teeth follows the same biological and physical process regardless of age and adult orthodontics is now very common and successful. Modern techniques have made orthodontic treatment more comfortable and shorter in duration; and less visible. Where appropriate invisible braces have made the wearing of braces much more acceptable for adults. There are a number of different types of fixed brace (the clinical term for a brace is an appliance). There is the traditional metal brace often known as train tracks. Recent technological advances have enabled orthodontists to offer more aesthetic braces which include the use of clear brackets; self-ligating brackets that increase speed of treatment and reduce total treatment time; and the invisible option, the lingual appliance, fitted to the inner surface of the tooth. Fixed braces are the most common and effective way of straightening teeth. We use the Invisalign system first patented in America. This type of appliance consists of a series of clear aligners which are custom made for each patient. Each aligner is subtly different and gradually by working through your aligners your teeth are straightened. The aesthetics of this appliance are excellent but it does not offer quite the same degree of control as fixed appliances, they work best in milder cases. Functional appliances are braces which aim to modify the growth pattern of the jaw and as such they are only suitable in growing patients. They help to correct discrepancies between the jaw relationship. Functional appliances are usually removable; the most common is the “twin block” due to the presence of plastic blocks on the appliance. Some fixed braces can have elastics attached between the arches in order to obtain a good relationship between the two jaws. These appliances are usually used for simple tooth movements or movements which are difficult to achieve with a fixed brace such as pushing a single tooth over the bite or widening the arch. They are often a precursor to fixed appliance treatment. Patients who suffer from crossbite ... ... often have a classic V shaped arch. A removable appliance is custom made ... ... to fit the shape of each patient's mouth. Slowly, over months, it is expanded ... ... using the adjustment in the appliance. Finally, the arch becomes U shaped. A bracket is fitted to each tooth. A wire is then connected to each bracket. Coloured bands secure the wire to the brackets. Many different band colours are available. Slowly, over several months, the wire is shortened ... ... pulling the teeth gently into line. Q What is my brace made up of? A Your brace is made up of small brackets glued to your teeth. The brackets are handles used to hold your teeth and straighten them; the archwire, which runs through the brackets moves the teeth. We start with the most gentle archwire and gradually move up through five sizes. The archwire is held in place by tiny elastic bands, which come in different colours. A It is usual for the teeth to be uncomfortable for the first few days after the brace is first fitted - stay with a soft diet and if necessary take one or two tablets of paracetamol or ibuprofen. Q What if bits break off? A If one bracket comes off then leave it until your next scheduled visit. If several break off then phone for an appointment to have the brace repaired. Q How do I clean my teeth? Q Will there be marks on my teeth when the brace comes off? A Poor cleaning and too many fizzy drinks can cause permanent decay marks. The importance of thorough brushing and the use of a fluoride mouthwash cannot be emphasised enough. A Contact sports such as rugby present a problem since it is difficult to make a gum shield that will fit over the brace. A reasonable solution is to buy a cheap gumshield from a sports shop which can be softened in hot water and moulded over the brace. Q How long before the brace is removed? A It usually takes about 18 months, occasionally longer, to straighten your teeth. "Traintrack" braces are very good at straightening teeth so that they look better in months. It is important to remember, however, that if the brace is removed too quickly before the teeth have settled into their new positions, then the teeth tend to go crooked again. Q So how are the teeth kept straight after the fixed brace is removed? A Usually we make a removable brace called a retainer to wear at nights for at least 12 months. Sometimes a wire is fixed to the insides of the teeth to hold them straight.